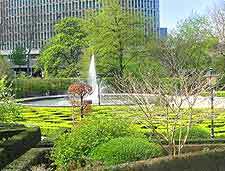 The city of Brussels is surrounded by many beautiful green areas and lush forests, although around the city centre there is little in the way of parks and gardens. 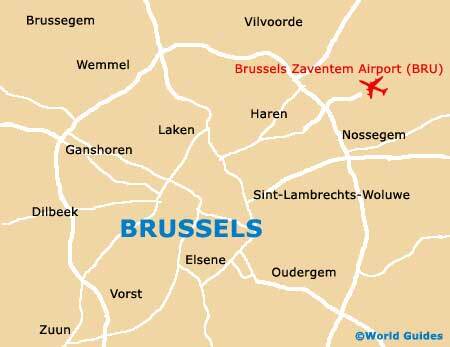 Without a doubt the most significant of these spaces is the Parc de Bruxelles (Brussels Park), which is an old and extremely historic parkland that was originally laid out almost 1,000 years ago by the dukes of Brabant. For one of the country's best selection of unusual plants and tropical flowers, take a stroll around the Brussels Botanical Gardens (Le Botanique), within the neighbourhood of Schaerbeek. Situated just outside of Brussels and within the commune of Meise, the Jardin Botanique National de Belgique also goes by the name of the Nationale Plantentuin van België and is even more impressive. 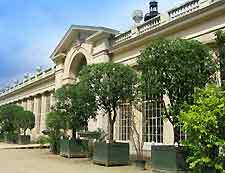 Renowned throughout the country for its beautiful planting schemes and horticultural excellence, Le Botanique is also often referred to as the Brussels Botanical Gardens. Amidst the exotic plant specimens and beautiful fragrant flowers, you will often find a host of seasonal events, which can include everything from classical music concerts to operatic performances. 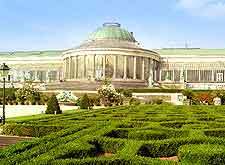 The magnificent National Botanic Garden of Belgium is amongst the most impressive of its kind in existence today and lies around the Château de Bouchout, covering around 225 acres / 92 hectares. Many important plant collections can be found within the grounds and its Victorian-style greenhouses, along with mature trees and a large library with some 60,000 books about horticulture. 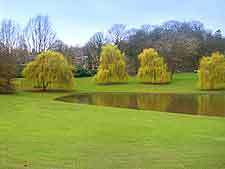 The Jardin Botanique National de Belgique is divided into themed gardens and research areas, including a herbarium with in excess of three million plant specimens. Known for its beautiful natural scenery and concentration of native wildlife, the Parc de Woluwe boasts a number of expansive lakes and impressive vistas. Many seasonal recreational activities are available here, including fishing, boating, walking and jogging. The park also offers large lawns, wetland areas of meadow, many indigenous and migrating waterfowl, and almost 200 different species of trees, including the mighty sequoia. The largest urban park located within central Brussels, the Parc de Bruxelles flanks both the Palais de la Nation and also the Palais Royal. During the summer months the park becomes filled with local Belgians and visiting tourists, becoming a popular lunchtime spot. Many free weekend parties also take place at this time of the year. Despite its size, this is not a particularly tranquil spot, since it is surrounded on all four sides by busy roads.